On a recent visit to our local grocery store, I noticed that pork tenderloin was on sale. I love me some pork tenderloin, and it is something that I have not made in quiet some time, so I decided to pick a couple of them up knowing exactly what I was going to do with them. 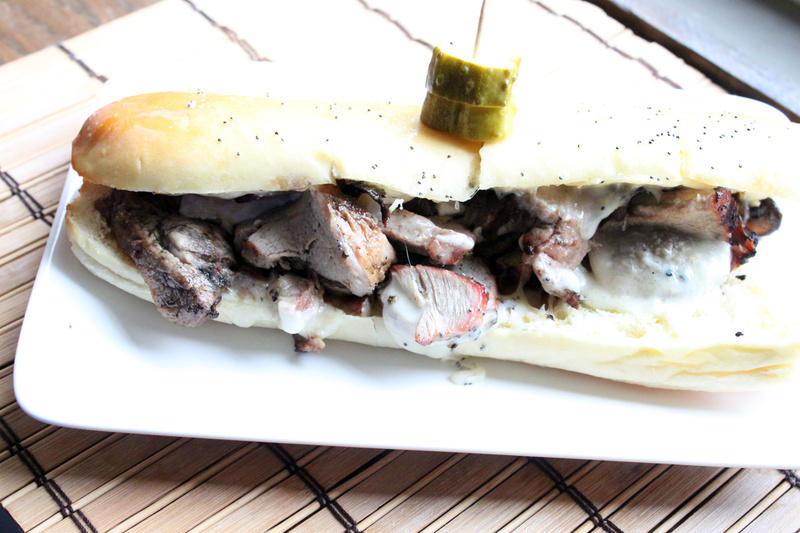 This grilled pork tenderloin and mushroom sandwich may be one of my favorites, and I do not kid when I say that. My wife loves it, my kids love it, and so that makes it a real winner in my book. Begin by drizzling olive oil over the pork tenderloin, and coat it well. Rub the minced garlic all over the pork tenderloin. Now wash your hands well. Generously sprinkle salt and pepper all over the tenderloin, and use a fork or tongs to turn as you continue to sprinkle. Place in a ziplock bag and let marinate for at least an hour. If you are fortunate enough to grill, light it up, and bring to a medium-high heat. Lube your grates with a bit of oil (use tongs and paper towel), and place the tenderloin on the grill, searing all sides. Reduce the heat, and cook until no longer pink. Remove from the grill, and let rest for approximately 10 minutes, sealing in the juices. In the meantime, to a skillet, add the butter. Bring to a medium heat, and add in the mushrooms, cooking for about 15 minutes. Take the pork tenderloin off of the grill, and let it rest on a plate. Once rested, slice the pork tenderloin into thin medallions. Slice your French bread. Add a slices of cheese to the bottom layer to cover. 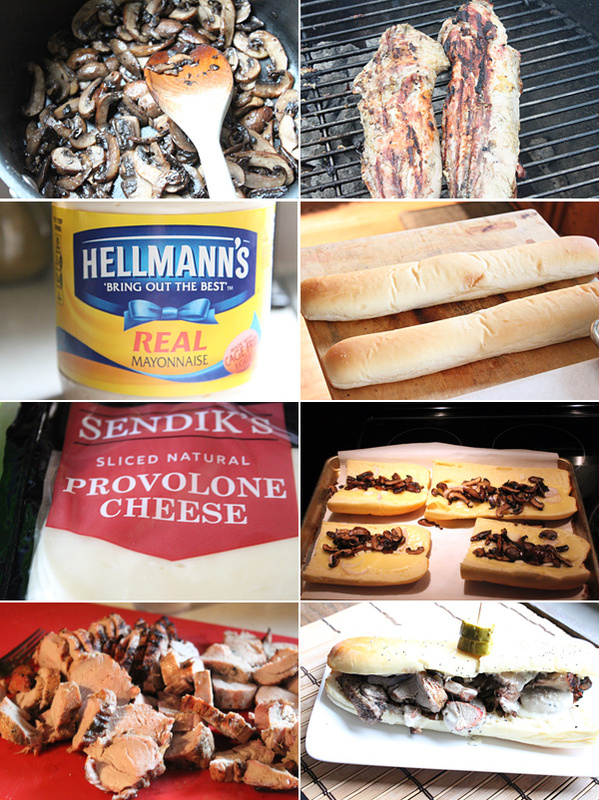 Add slices of pork tenderloin across the cheese, top with some of the sauteed portabella mushrooms, and then cover the mushrooms with more provolone cheese. Preheat your broiler. Place the sandwich(es) underneath the broiler, cheese exposed, and cook until the cheese is melted, being careful not to burn the bread. While the sandwich is cooking under the broiler, add the mayonnaise and red onion to a small bowl and mix well. Season with additional salt and pepper. This will serve as the condiment to the sandwich, and trust me on this one, this condiment is hard to beat. Remove the sandwich from the broiler, plate, and serve. Hope you enjoy.